another Pontiac Trans Am became a star. While the popularity of Classics of the '80's continue to grow and attract younger buyers into the hobby, few people are aware of the history of "The KITT's" or what happened to them once production of the series Knight Rider stopped. So after finding some of the details, we've decided to share them with out readers. To start, the time frame was immersed in cars that were stars including Back To the Future, Dukes of Hazard, Blade Runner and The Blues Brothers. They all promoted high speed antics, car chases, crashes and aerial jumps that somehow never seemed to bother the cars themselves. Of course, now that we're all older, smarter and regardless of which show or movie, we now know there were numerous vehicles used during production. And in every case, all but one of these car were trashed, sometimes destroyed to bring these "flights of fancy" to our movie and TV screens. The untouched cars were and still are, called "hero cars". As such they were very highly detailed, inside and out, dedicated for use in close ups and when the driving sequence was risk free. Relying on his experience around aircraft, he designed the dashboard and steering wheel to build on the interior of a modern jet fighter. For the exterior, he chose to replace the blunt nosed design with an extension that followed the body lines, ending with a pointed design. He then moved the headlights to be placed below the nose. Ironically he chose to use a technique from the '50's for KITT's "scanning red light feature". They were nothing more than Christmas tree lights behind plexiglass controlled by a simple electronic board. After completing the first car, the studio ordered more, but there was a shortage of Trans Am's at the time. The initial run of vehicles were limited to the "hero car" and three others which were repeatedly repaired and repainted during the series. One of the cars was modified specifically for "jump" sequences featuring a strengthened infrastructure and fiberglass body panels for reduced weight. 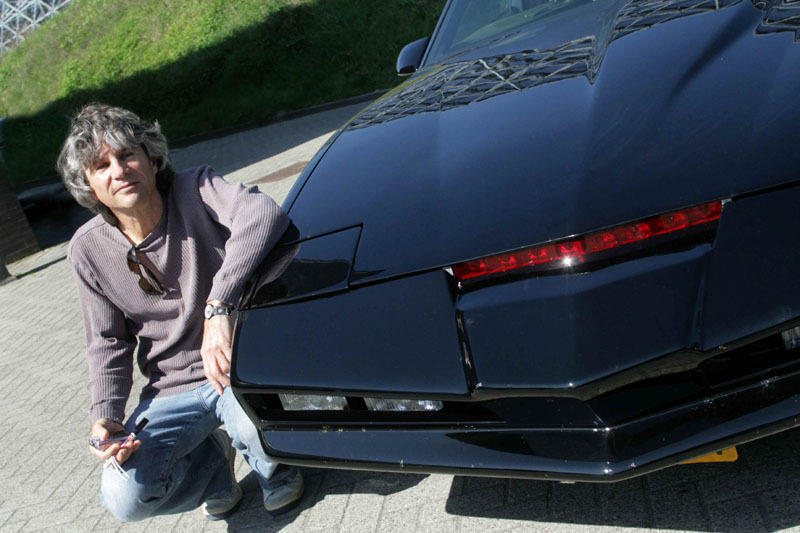 Another was fitted with back seat remote controls so KITT could be filmed driving itself. The third was dedicated to ground-based stunts including high speed driving, doughnuts, slides and crashing through barriers or fences. A train carrying a shipment of Trans Am's derailed with the cars on board. While none of the vehicles were damaged, state laws prohibited the sale of these cars to the public. Someone at Pontiac quickly recognized an opportunity to supply the Knight Rider production company an additional dozen cars at $1 each providing they were destroyed when the series ended. Despite having 16 available vehicles, an additional six Trans Am's were purchased over time. WHAT HAPPENED TO THE REMAINING "KITT'S"? 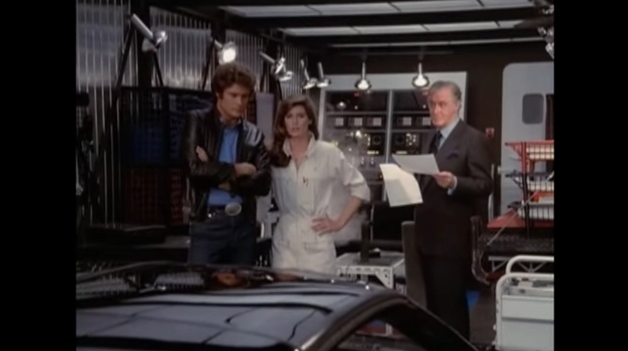 According to available details, after Knight Rider was cancelled, all but 5 cars, including the hero car were destroyed. What happened to the rest? The answer is nobody really knows. The cars basically disappeared into the market. And as with your Classic, without any kind of documentation (paperwork, photos, receipts, etc) that can be organized, protected from your accident loss and used to validate the rarity, quality and condition of your car...well, don't expect someone to believe hearsay when deciding what it's worth. THIS REMINDS US OF ANOTHER TRANS AM "MYSTERY"
A few years ago during our visit to the Wellborn Musclecar Museum in Alexander City, Alabama, we were introduced to the Trans Am owned by Burt Reynolds. It was a gift from GM and exact duplicate of the one used during filming. It bore his personal "BANDIT" California license plate, the ghost image of his initials were plainly visible on the driver's side door and we held the title showing ownership by him in our own hands. He had owned the car for quite some time. In 2015, that very car was placed into auction at Mecum's Kissimmee event. It sold for a measly $90,000. Please note the car was "near perfect" and all original (everyone knows an all original "survivor® is ALWAYS worth more than one that's been restored). A year later, a restored replica used to help promote the movie (it was parked outside theaters), never owned by Reynolds was sold at auction for $550,000 (Please read the part about never owing the car). 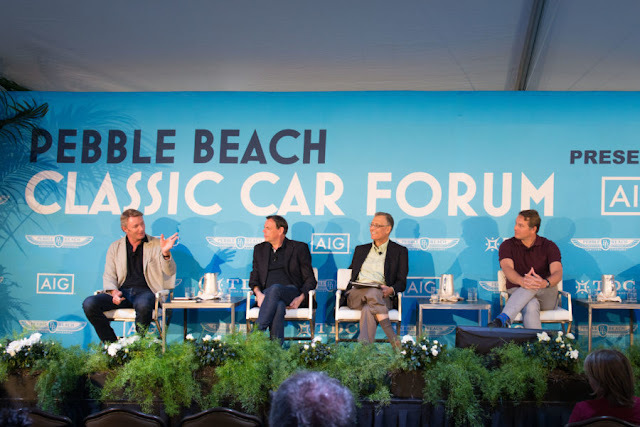 An additional restored "promo car" sold for $450,000 and another "tribute" (that means it was a fake) owned by Reynolds for about a year sold for $170,000. As you can imagine, we're still scratching our heads over these results. WHERE CAN YOU TURN FOR HELP BUYING A "REAL" KITT? As it turns out, there are KITT experts, who have documented the differences between the 5 originals and the thousands of fakes. Joe Huth and A.J. Palmgren are Knight Rider historians who co-wrote two books about the show and run a fan website about it. Huth indicated they've done more research than anyone on the subject. They also say it’s fairly easy to spot the fakes, if you know where and what to look for. First, the studio placed unique inventory control numbers in hidden locations for each of the cars used on screen . Second, the screen used vehicles were modified in very specific and consistent ways. Over time, they managed to track down all five remaining cars. Four were purchased by a car collector named Carl Casper, who over time sold three of them, but kept one on display at Cruise Automotive Museum in Indiana. Of the three he sold, one went to the U.K., one to the Miami Auto Museum. The third had been acquired and restored. It was later sold to a Dealer in San Diego, where after pooling their funds, the pair bought it. The last one was the stunt car. It enjoyed a short life at Universal Studios theme park. After the attraction was shut down in 1993, the car was parked behind a maintenance building for 15 years before being sold to a junkyard. Huth and Palmgren managed to catch it before it was completely lost and bought it. We also uncovered the destruction of the remaining cars was completed by Universal by simply dropping a wrecking ball on the roof. There are some great pics and additional details available at High Performance Pontiac (Part One & Part Two) including one of the wrecking ball in Part Two. We also located a decent documentary of the show, but it can only be viewed in the creator's YouTube Page. Just click the pick to be redirected.